Carbon monoxide (chemical symbol CO) is an extremely dangerous colorless and odorless gas that can cause many serious health problems, and can be fatal. Carbon monoxide is produced by the incomplete burning carbon containing fuels and, due to its unobtrusive composition, frequently goes undetected. In the event of carbon monoxide exposure, the chemical enters the body during inhalation and goes into the lungs. It is then absorbed by the hemoglobin in the red blood cells and displaces the red blood cells ability to carry oxygen, affecting your heart, brain, and other vital organs. 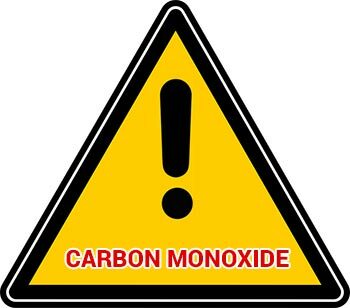 Carbon monoxide is a potentially deadly gas, which has earned the name of ‘the silent killer’. However, there are many sources of pollution, and everyday items within the home and office can pose a potential risk. Even your car or motor vehicle poses the risk of possible CO poisoning. The effects of poisoning can be devastating, and this gas can and dies kills thousands of people each year. Some people don’t even realise that they have been poisoned. Simply slipping away in to unconsciousness or a deep sleep from which they will never reawaken. For those that don’t die, carbon monoxide poisoning can still cause long term damage and permanent damage and disability. Acute refers to one exposure lasting less than twenty-four hours. Chronic exposure generally involves lower levels of carbon monoxide and a exposure(s) of greater than twenty-four hours. Symptoms of carbon monoxide poisoning include confusion, fatigue, dizziness, headaches, and nausea. In many situations, people who visit the doctor for theses symptoms are often misdiagnosed as having the flu, allergies, food poisoning, psychiatric issues, or heart problems. Often symptoms will occur in more than one person and pets. These symptoms may resolve temporarily when the victim leaves the carbon monoxide producing environment. Barbeques and indoor heating systems. In order to try and minimise the risks of carbon monoxide poisoning to you and your family. It is essential to know the causes, the treatments and how to recognise the symptoms of CO poisoning. This site will enable you to find out more about this deadly gas, and how you can help to minimise the risks in your home, car and office. Provides information on the various dangers associated with this gas. From the difficulty in being able to detect its presence. To its ability to cause serious damage and death. Goes into detail on what CO is and how it can affect our health and out lives. Details the various symptoms that are associated with this type of poisoning, as well as highlighting their non-specific nature. Goes in to the various appliances and sources that can pose a risk of CO poisoning, both in the home and at work. Describes various steps and precautions that you can take in order to minimise on the risks of carbon monoxidepoisoning to yourself and your family. Lists the possible long term damage that can be caused by breathing in this deadly gas, and why these effects may come about. Explains the various treatments that are available, both in terms of the poisoning of the blood as well as the related illnesses that stem from CO poisoning. Explains more about how and why breathing in carbon monoxide can affect us so badly, and what sort of symptoms can be expected with various levels of saturation. Details the history behind carbon monoxide emission from motor vehicles and highlights the importance of getting your vehicle checked. You can also find out more about how CO fumes from your car can also affect your home. Provides details on the types of appliances within the home that may pose a CO risk, as well as highlighting ways to make your home as carbon monoxide-proof as possible. Explains the difficulties of detecting carbon monoxide, and how to look for clues. You can also find out more about CO detectors and how they can help. What to do if You Suspect a Carbon Monoxide Leak ? Details the action you should take if you do suspect a leak, and the importance of acting quickly in order to minimise on CO poisoning. The articles on this site should enable you to get a more detailed insight into what carbon monoxide is. What sort of dangers it poses and how we can all help to minimise on the risks that could cause serious damage or death. The above information, including but not limited to informational articles, other text/images, and on or off site links, has not been prepared, endorsed, or reviewed by any form of licensed medical professional, including but not limited to physicians, doctors, and so on, nor by any form of licensed legal professional including but not limited to an attorney. Nothing on the this website should be taken as either medical or legal advice, but instead should act as a useful resource in providing general information that may be useful to members of the general public. All visitors are encouraged to consult with a physician or other licensed medical professional for any form of medical advice, and a licensed attorney/lawyer in all legal matters.